Rio Red Grapefruit has a very red pigment, ten times redder than the Ruby Red! 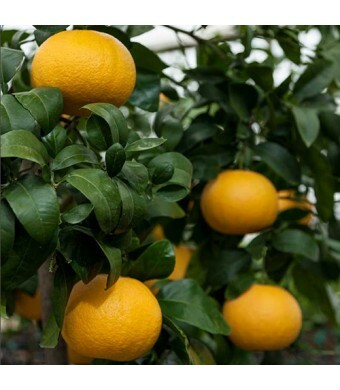 Rio Red is one of the more red-fleshed grapefruits available, with a red blush on its yellow skin. It keeps its red color throughout the growing season. It has a paler red halo in the flesh when cut horizontally. Its flesh is twice as red as the Henderson variety, and Food Network says that it is seven to 10 times redder than its parent, Ruby Red. It has so few seeds that it is considered a seedless variety. 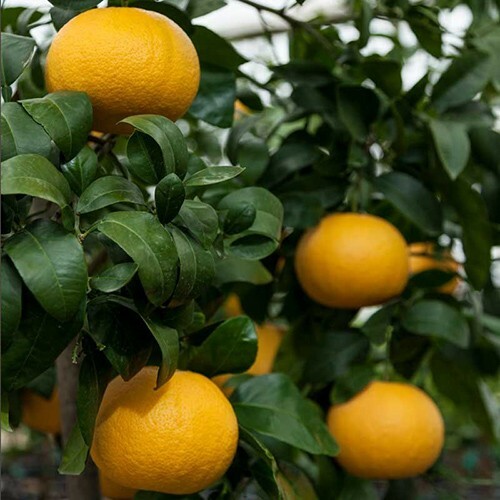 Our Grapefruit trees are cold hardy in USDA Zones 9-11. They can be grown as container plants in all other areas of the U.S. if brought indoors for the winter.